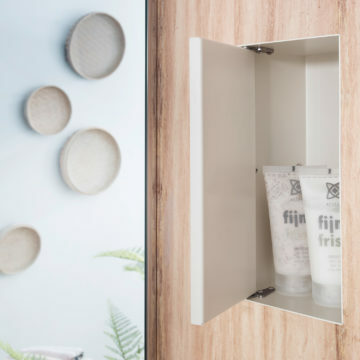 Container serie wall niches enhance your bathroom design and provide a place to conveniently stow all your shampoos, shower gels and other bathroom items. With dimensions as small as 15×15 cm and as large as 120×30 cm, there is a wall niche for any type of bathroom. Container shower niches are available in various finishes. It's also possible to choose a specific frame finish or even a different frame material such as wood. 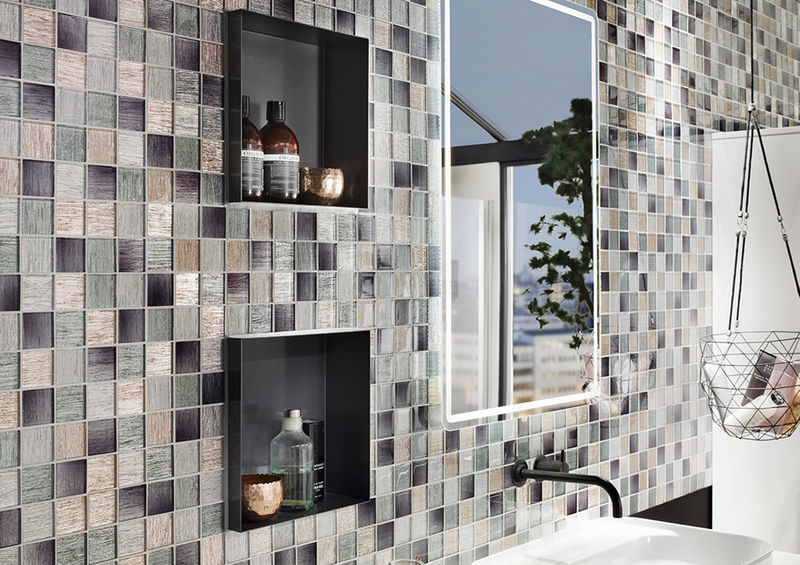 Container built-in wall niches are available with a mirror, an integrated LED or door (tileable/stainless steel) and with or without a frame. Whether it's renovation or new construction, wall niches are a great way to create more space in your bathroom. A niche or shower shelf is easy to install and offers the perfect place to put your bathroom utensils. 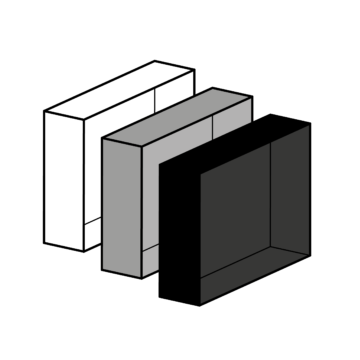 In this article you will find a short explanation about how-to install a wall niche in your bathroom.  In this article, we provide useful tips and inspiration on how to practically arrange your small bathroom and explain which bathroom furniture creates more space. We recognize the increasing importance of design for even the most compact living areas. Adding a wall niche to your bathroom is a practical and elegant way to create more storage space. 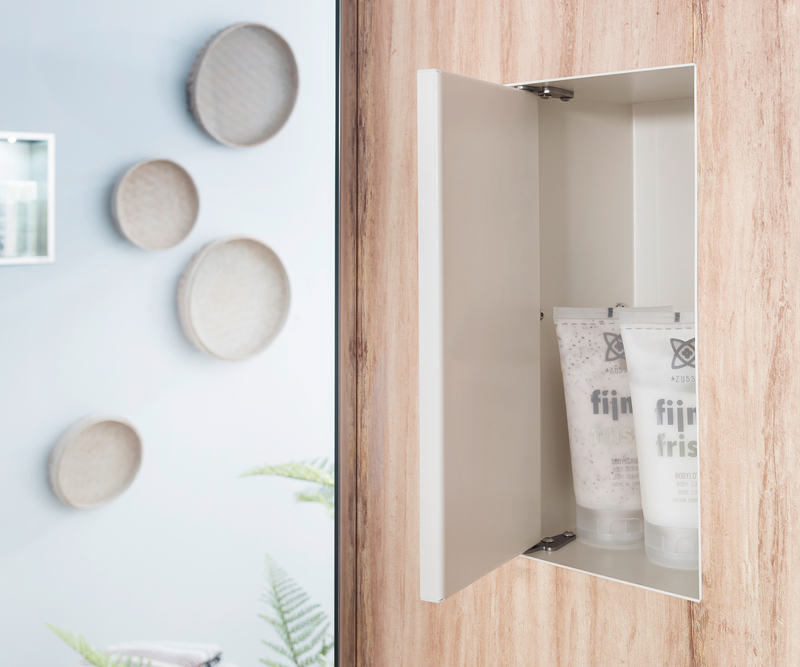 Our space-saving Container Series provide you with a stylish collection of bathroom niches and a functional solution to conveniently stow all your shampoos, shower gels and other bathroom items. By installing a Container wall niche you gain more storage space. 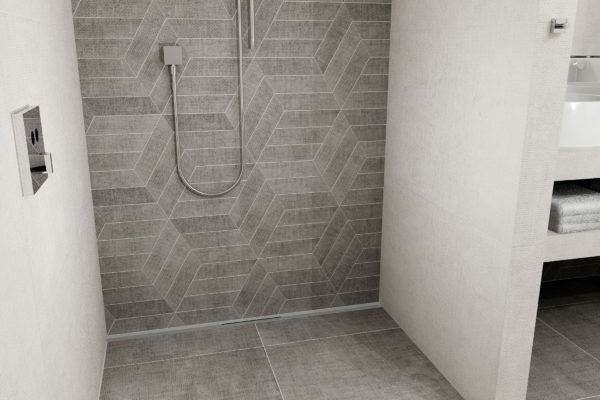 When choosing the T-BOX, a tileable shower niche with push-to-open door you “remove” your bathroom-items, creating a clean and minimalist look. 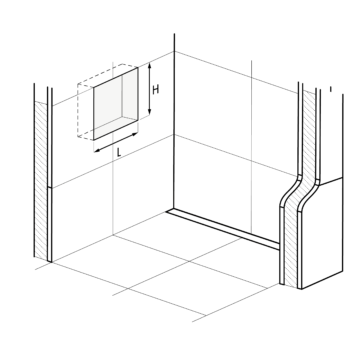 Our stainless steel wall niches are available in various dimensions and finishes to match any bathroom interior. Colours have the power to create a comfortable and welcoming environment. 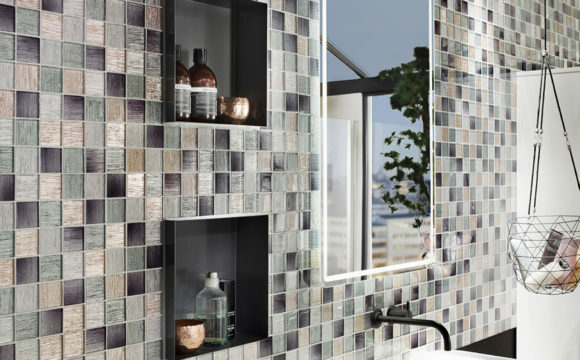 ESS have combined innovative functionality with unique aesthetics to create stunning bathroom wall niches. Whether you choose the elegance of stainless steel, the subtle touch of white and crème or the modern look of anthracite and black. Create your perfect environment. 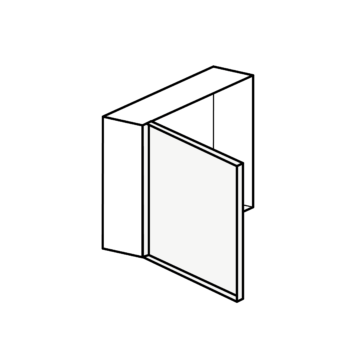 Container wall niches are equipped with a built-in set. This eliminates any chances of water leakage. Apply sealant on the wall to fasten the built-in set. Insert the built-in set to enable a complete waterproof installation. Apply also sealant to the back flange of the wall niche and insert this part into the build in set in order to fixate. No matter what kind of home you own, there are many reasons to incorporate a wall niche into your remodeling or new build project. A recessed wall niche contributes into creating a safe and obstacle free shower environment, which benefits the whole family. A lot of bathrooms are cramped and offer limited place for a shower area and/or bathtub. Let alone, storage space that doesn’t block your walking space. By avoiding wall shelves or cabinets and choosing a recessed wall niche you save space and retain more design freedom.